Rev. 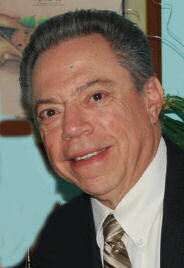 Bill Banuchi is the founder of the State Chapter (NY) of the Coalition. Rev. Banuchi served as county chairman of the Christian Coalition from 1992 to 2000, then as NY State Director from 2000 to 2006. We invite all who have a concern for coming generations to join us and be part of a movement to bring godly values back into the life of our nation. You will be informed, equipped and inspired to do your part to see America once again be One Nation Under God.